Sales of million pound plus properties in the UK, most notably in the North West and Yorkshire and the Humber increased strongly in the first six months of 2017m new research shows. However, million pound home sales in London fell during same period and sales also decreased by over a quarter in Scotland, Wales and the East Midlands, according to the research from Lloyds Bank. Overall, there was a modest drop of 1% in the number of properties sold for more than a million pounds across the country in the first six months of 2017 compared with the same period in 2016 and the average price for top-end homes has now fallen for three years in a row. The data shows that the average price for prime homes over a £1 million have fallen from £1,862,578 in the first half of 2014 to £1,717,141 in the first half of 2017, a fall of 8%. 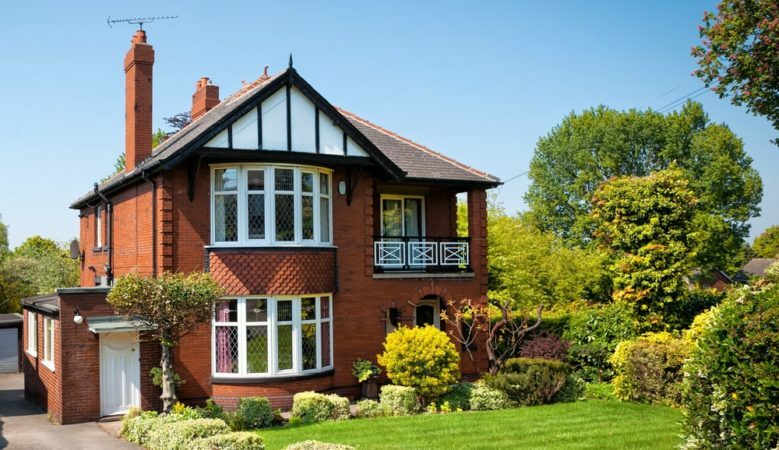 Purchases of prime properties in the North West and Yorkshire and the Humber rose by 55% and 45% respectively. Increases were also seen in the West Midlands of 33% and the South East up 15%. But million pound home sales in London fell by 7% from 4,230 to 3,940 and sales in the sector fell by 35% in Scotland, by 31% in Wales and by 27% in the East Midlands, all of which experienced an overall decline in house sales. Mirroring the trend of rising sales in the north of England, Yorkshire and the Humber had the fastest price growth over the last year at 5%, increasing from £1,378,578 to £1,452,252. Average prices for houses sold over £1 million pounds in London remained unchanged. The prime market may, however, have been distorted recently by buyers completing purchases before the introduction of higher stamp duty on buy to lets and second or additional homes on 01 April 2016. ‘In the first six months of 2017 we saw a modest decrease in the number of houses being sold for more than one million pounds, together with a fall in the average price of top end homes. However, sales in northern England and the West Midlands appear to have bucked the trend, with buyers making high value purchases perhaps taking advantage of lower borrowing rates,’ said Sarah Deaves, private banking director at Lloyds Bank. ‘There are several factors that could be responsible for the ongoing uncertainty in the market, including interest rates and economic stability. Changes to stamp duty in 2016, which saw a 3% increase for second homes, including buy to let homes, also resulted in a surge of purchases in Q1 2016, ahead of the new rules coming into force,’ she pointed out. ‘With the Office for Budget Responsibility revising down forecasts for house prices and housing transactions we expect this slowing to continue into the new year. This could mean that it takes longer for people to sell a million pound property or find their new dream home,’ she added. The research also shows that the majority of £1 million house purchases, some 83%, were concentrated in London and the South East. While London saw a 7% dip in £1 million sales in the first half of 2017 compared to the same period last year, the South East experienced a rise of 15% to 1,497. Despite the 1% fall in million pound property sales overall, the luxury market has still outperformed the rest of the sector. This modest drop is in stark contrast to the 7% decrease in house sales costing under £1 million, for example. London saw the biggest fall in overall transactions with a drop of 25% in the first half of 2017, with sales of properties priced over £1 million dropping by 7% and those priced under £1 million dropping by 21%. Overall, the sale of all properties fell by 5%.